Contemporary, cult and iconic cinema come together tonight in central London as Film4’s annual Summer Screen at Somerset House begins. 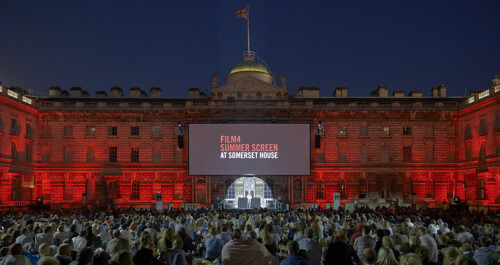 Back for the 11th year, Film4’s Summer Screen takes over the court yard of Somerset House, located on the south side of the Strand, overlooking the River Thames and boasting the biggest outdoor cinema screen in the city. The diverse 14 night programme kicks off with the UK premiere of British-French comedy drama Gemma Bovery, staring Gemma Arterton, Fabrice Luchini and Jason Flemyng. The film premiered in the “Special Presentations” category at last year’s Toronto Film Festival and follows the story of ex-Parisian Martin (Luchini), who has relocated to a village in Normandy with a passion for Gustave Flaubert, and an English couple who move in across the road from him – Gemma and Charles Bovery (Arterton and Flemyng). As Martin begins engaging with and observing the young couple he discovers Gemma begins to embody her namesake Emma Bovery from Flaubert’s debut novel Madame Bovery. A series of romantic and sexual liaisons place Gemma on the same devastating path as her literary namesake, despite the intervention of neighbour Martin and his attempts to alter her inevitable and tragic fate. Amongst the line up is also the people’s premiere of Guy Richie’s Cold War action film The Man from U.N.C.L.E. staring Henry Cavill and Armie Hammer as U.N.C.L.E. (United Network Command for Law Enforcement) agents Napoleon Solo and Illya Kuryakin. Based on the 1964 television series of the same name, the film follows US and Russian agents forced to team up and take on a mutual enemy with a nuclear bomb in a race against time to prevent a global catastrophe. The film will go on general release in the UK on 14th August. Public voting returned to Summer Screen this year with the category, “The Best of 10 Musicals”, where the British public were given 10 days to vote for their favourite musical. The votes have been counted and verified, and the winning musical is West Side Story. Deemed “culturally significant” by the United States Library of Congress, the film was selected for preservation in the National Film Registry in 1997, and its 10 Academy Awards including “Best Picture” and “Best Art Direction” make it the most successful musical of all time at the Oscars. Inspired by Shakespeare’s classic play Romeo and Juliet, the 1961 film will be screened on the penultimate night of the festival, Tuesday 18th August. The two week spectacular concludes on Wednesday 19th August with the UK premiere of American comedy drama Me and Earl and the Dying Girl, based on Jesse Andrews’ 2012 debut novel of the same name. After premiering at the 2015 Sundance Film Festival, the film went on to win the “U.S. Grand Jury Prize: Dramatic” and the “Audience Award for U.S. Drama”. 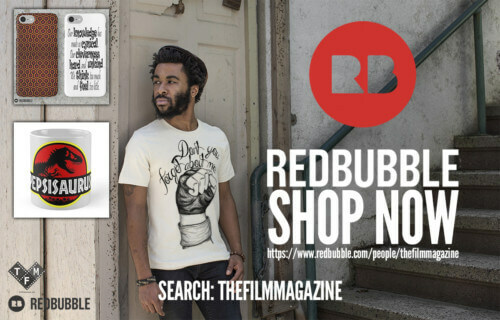 The coming-of-age film follows the life of awkward high school student Greg, who spends most of his time filming parodies of classic films with his friend Earl and trying to finish his senior year flying as far under the radar as possible. His plan for anonymity is threatened however, when his mother forces him to befriend Rachel, a girl he knew in Hebrew school who has recently been diagnosed with cancer. Although the film was well received by critics and a younger film-going population after its release in the States, it has failed to reach the same level of success as 2014’s similarly themed The Fault In Our Stars. This has led some critics to comment that while it appeals to the younger audience who are able to identify with it, it has failed to crossover and capture the mainstream audience in the same way as The Fault In Our Stars did. Alongside the screenings is a programme of workshops, talks and different screenings entitled Behind the Screen, giving an insight into the films being showcased this year, including: Young Creatives Anime Day, a day aimed at exploring the Japanese Anime genre and inspiring up and coming animators; SHORT! SHARP! SHOCKS!, presented by Film4 FrightFest, which is an exclusive selection of cutting edge horror shorts handpicked by the team behind Film4 FrightFest; Shot on Site which is a series of guided tours operated throughout August taking a look behind the scenes of this beautiful neoclassical building which has become a popular filming location, appearing in numerous James Bond films, Sherlock Holmes (2009) and The Dutchess (2008). Returning for a third year is Summer Screen Prints, a carefully curated exhibition in association with Print Club London, presenting a series of contemporary film posters inspired by this year’s Summer Screen programme. 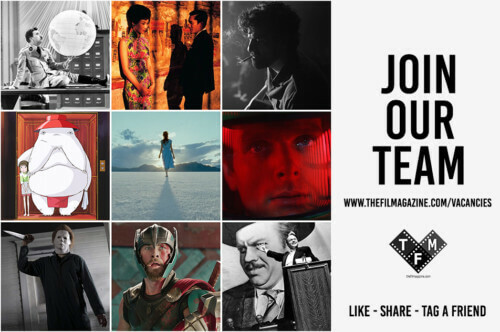 Posted in Film Festivals, Kat Lawson, News Tagged armie hammer, fabrice luchini, film 4, Film Festival, film4 summer screen, gemma arterton, Gemma Bovery, guy ritchie, henry cavill, jason flemyng, somerset house, The Man from U.N.C.L.E.